Most modern-day NFL legends have experienced the thrill of hoisting the Lombardi Trophy at least once. But surprisingly, not everyone gets the chance to call their team the greatest. Some of the best players in NFL history were never able to win the title game. Greatness doesn’t guarantee a player a ring, let alone a chance at one. The number of juggernauts who came up empty-handed goes on and on. It’s hard to believe these players don’t have a championship on their resume. One Hall of Famer had four chances to win one but came up short each time. It’s not rare for an elite player to spend the majority of his career with a bad franchise. Gore rarely complained when the San Francisco 49ers were an awful team. The same goes for when was with the Indianapolis Colts and Miami Dolphins. “The Inconvenient Truth” is fourth all-time in career rushing yards who had a shot at winning Super Bowl XLVII. Despite coming up short, Gore continues to chug along as he enters the very last days of his NFL career. The Arizona Cardinals gambled on the wide receiver by selecting him third overall in 2004. 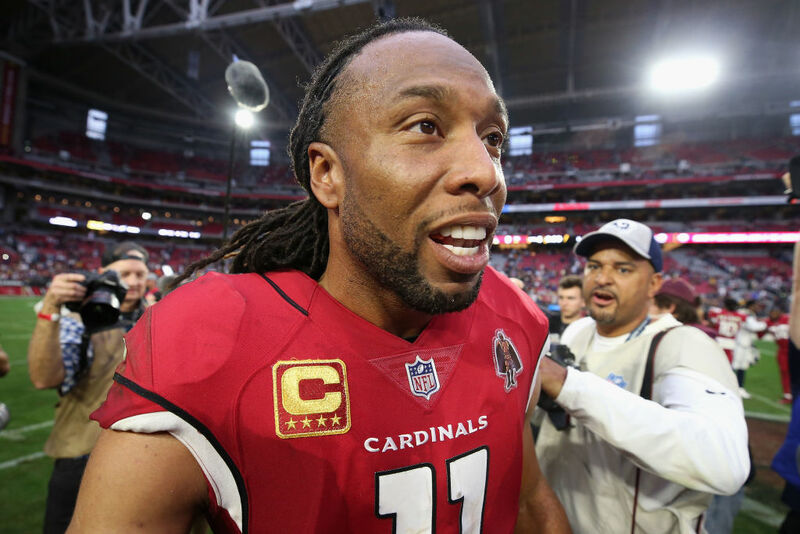 Fitzgerald has been selected to eleven Pro Bowls, and was named to his only First-team All-Pro in 2008. The future Hall of Famer will likely go 0-1 in Super Bowls, even though he finished with 127 yards for two touchdowns in Super Bowl XLIII. The second overall leader in NFL receiving yards has a few years left, but time is quickly running out for another shot at a ring. 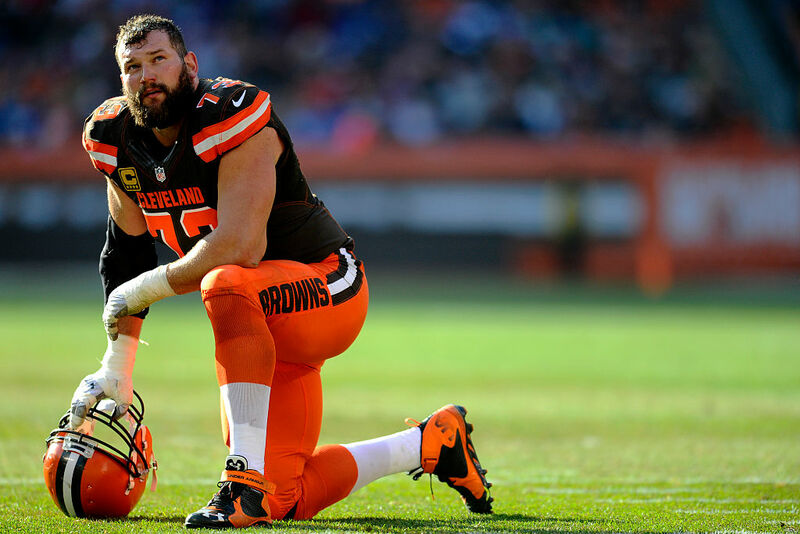 The offensive tackle only saw one winning season with the Cleveland Browns. In his 11-year career, Thomas made it to the Pro Bowl in each of his first ten seasons. Plus, he didn’t miss a single play in his career until the 2017 season, the final season of his career. His 10, 363 consecutive snaps played is the longest streak since the NFL began recording snap counts in 1999. The 2007 third overall pick is eligible for the Pro Football Hall of Fame in 2023. The next player ahead set the single-season rushing touchdown record with 28, which still stands today. It’s remarkable that the wide receiver has never been a part of a Super Bowl-winning team. Despite spending six years with Tom Brady and two seasons with Peyton Manning, the five-time All-Pro never got to hoist the Lombardi Trophy. 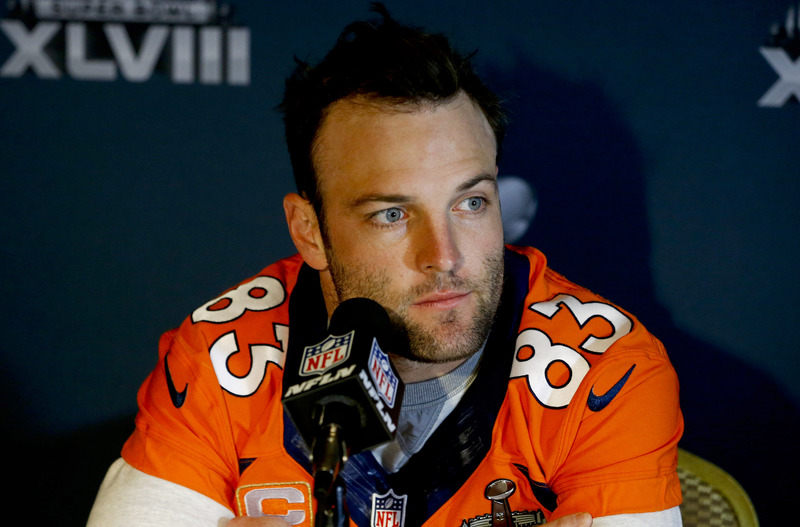 However, Welker was fortunate enough to play in three different Super Bowls. He was a member of the 2007 record-setting New England Patriots as well as the 2011 team. His final trip was with the 2013 Denver Broncos, who were bombarded by the Seattle Seahawks in Super Bowl XLVIII. The tight end is one of the greatest pass catchers in league history. As outstanding as his career was, it was never enough for his team to get to any Super Bowl. Kansas City only made the playoffs on three occasions. 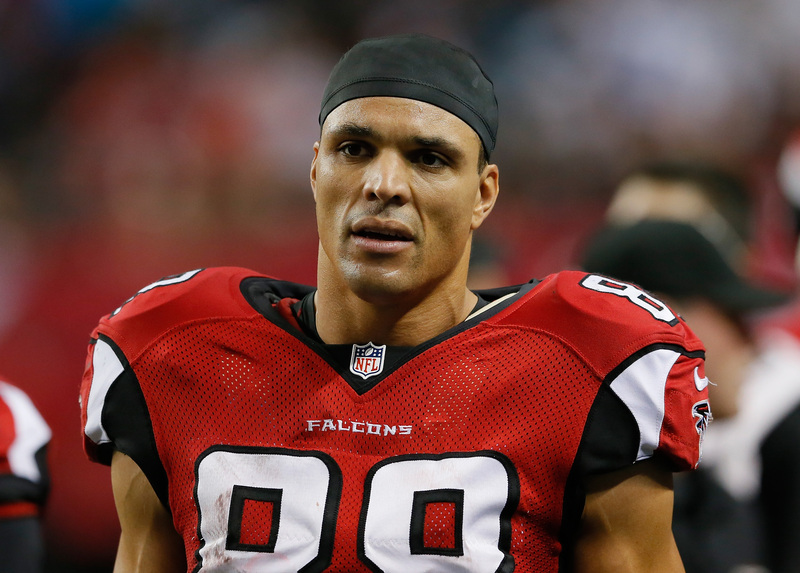 In 2009, Gonzalez was traded to the Atlanta Falcons, and quickly becoming Matt Ryan’s favorite target. 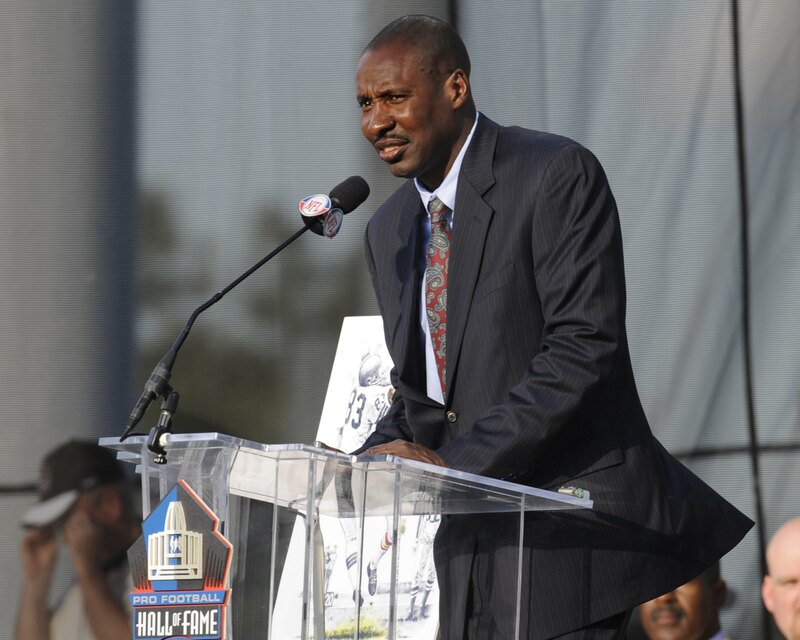 With the Falcons, the Hall of Famer made three more playoff appearances. The farthest he made it was to the 2012 NFC Championship Game, losing to the San Francisco 49ers. The running back led the NFL in rushing yardage twice and three times in rushing touchdowns. Tomlinson is sixth on the all-time career rushing yards list, and set the single-season rushing touchdown record with 28, which still stands today. After nine seasons in San Diego, Tomlinson played two seasons with the New York Jets before returning home to retire. The Chargers may have only advanced to the AFC Championship Game once in his nine years, but it’s not due to a lack of effort. 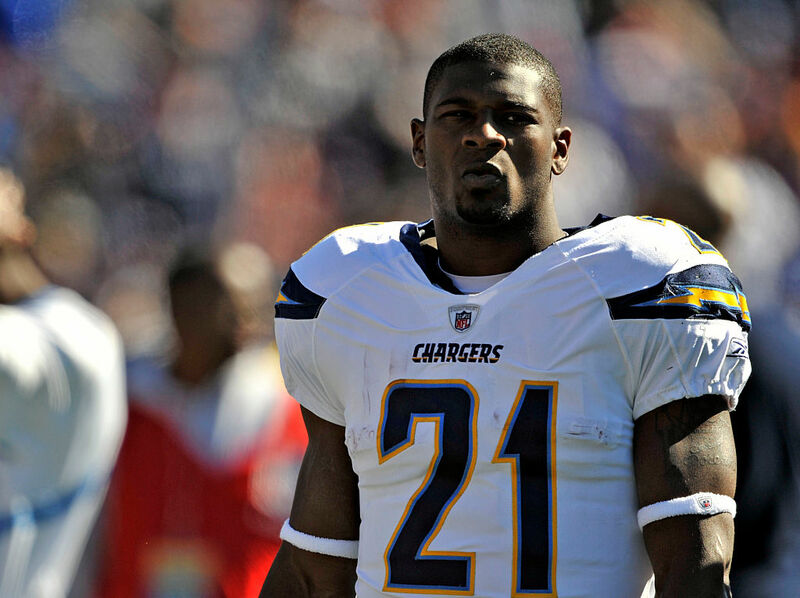 Another Chargers legend is still on the way! Stardom was the last thing anyone expected out of the wide receiver. Despite his mediocre performance with the Philadelphia Eagles, Carter admitted to having a wake-up call following his off-field issues. 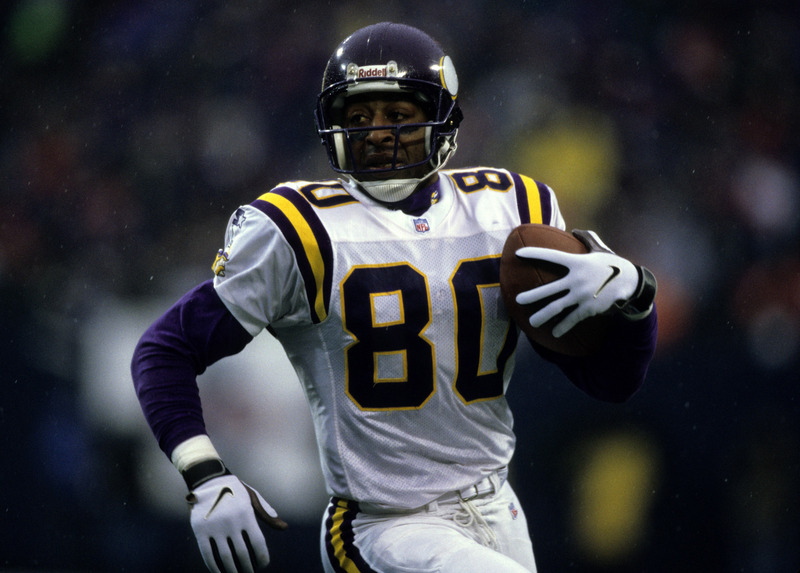 It took a season, but the eight-time Pro Bowler rose to become the number one receiver with the Minnesota Vikings. 1998 was the best chance that the Ohio State alum had at winning the Super Bowl. Since retiring in 2002, the Hall of Famer has worked for ESPN and Yahoo Sports. The running back was tough enough to bring down when a tackler had him lined up. 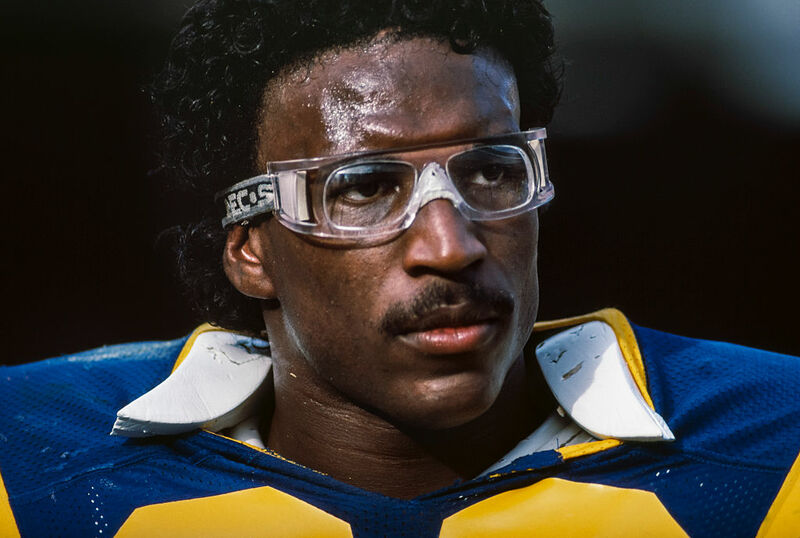 Following his rookie season in 1983, Dickerson set a single-season rushing record that still exists today when he went for 2,105 yards on 379 carries. But his success in the regular season didn’t translate to the playoffs. In the 1985 NFC Conference Championship Game, the Rams ran into the Chicago Bears. Dickerson was stopped as the Bears shut the Rams out 24-0. The Hall of Famer would never win another playoff game again. 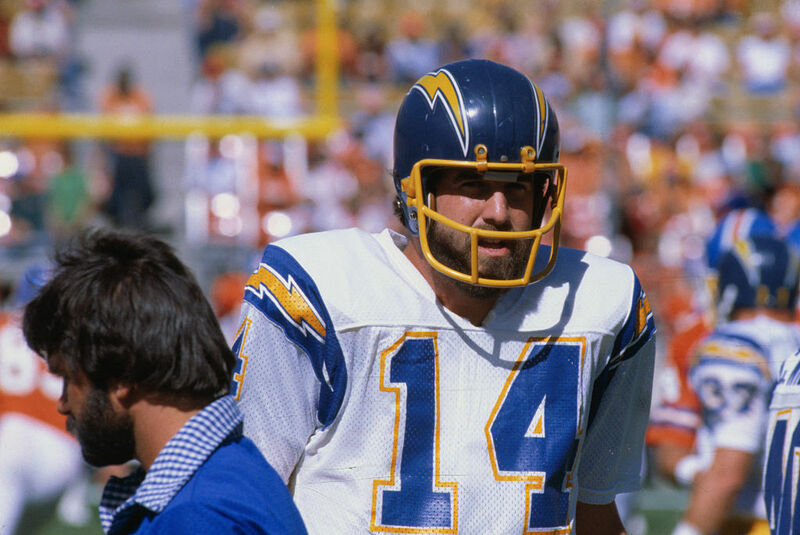 When Fouts and head coach Don Coryell teamed up, it was a match made in football heaven. The quarterback-coach combination led San Diego to two consecutive AFC Championship Games in 1980 and 1981. Fouts’ lack of mobility, including the time it took for Coryell’s plays to develop, led to a number of injuries that would plague him for the remainder of his career. Unfortunately, he never played a full season after the Chargers magical 1981 season. But, Fouts remains one of the most prolific passers in NFL history. One of the best offensive linemen in NFL history appeared in 11 Pro Bowls in his 12-year career. The offensive guard missed two games in 1989, but started in every other game for the remainder of his career. With the former first-round draft pick nearing the end of his prime, the Minnesota Vikings marched to the NFC Championship Game in 1998. The Atlanta Falcons would win after Morten Anderson’s missed a field goal. When he played for Tampa Bay in 2000, he became the oldest player in the NFL to score his first touchdown reception at 36 years, 282 days old. Over his 13 seasons, the tight end set records for his position that seemed untouchable. The three-time Pro Bowler would be apart of a Cleveland Browns franchise which reached three conference championship games in four years. Their misfortune was running into the Denver Broncos, who were dominant in those seasons. Following his retirement, Newsome was hired as an executive for the Baltimore Ravens. He became the first African-American to occupy a general manager position in the NFL. The USC alum is considered to be one of the best offensive linemen in NFL history. Shockingly, his history of injuries only led to three missed games during his 12 seasons. 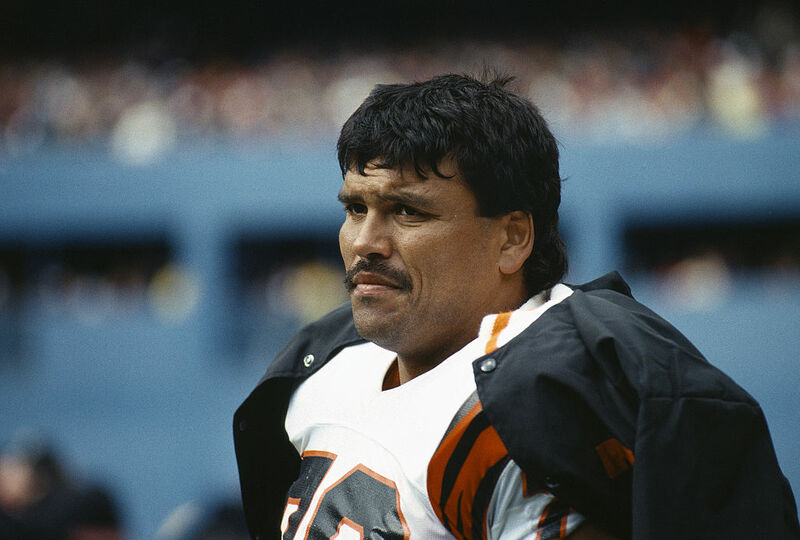 Muñoz did play in Super Bowl XVII and XXIII with the Cincinnati Bengals. Both were narrow losses against the San Francisco 49ers. At the time of his retirement, his 11 Pro Bowl appearances tied him with Tom Mack for the most ever by an offensive lineman in league history. Kansas City took a linebacker with the fourth overall pick in 1989 and they never regretted it. 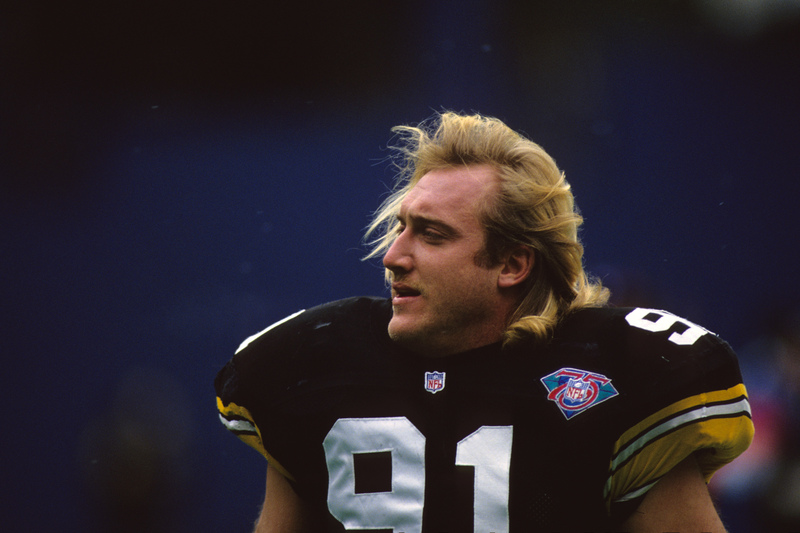 The first overall pick of the 1985 NFL draft sits first on the all-time sack list with 200. Smith was credited with over 100 tackles twice in his career, and established a personal season-high sack total of 19 in 1990 and 1993. The Bills won six division titles and went on to four Super Bowls. Despite losing in all four title games, Smith managed to record 14.5 sacks in his postseason career. In addition to that, the Hall of Famer appeared in 11 Pro Bowls. The walk-on at Auburn was the Los Angeles Rams’ fifth-round pick in 1985. 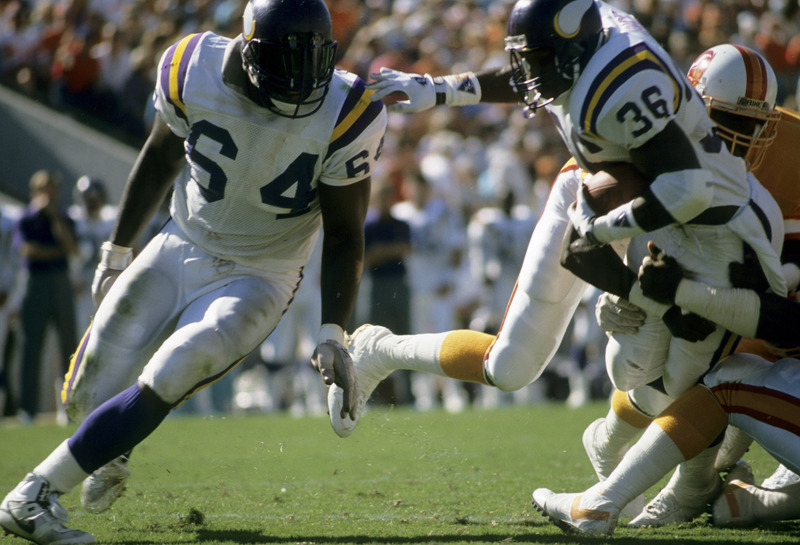 Greene would go on to establish himself among the NFL’s best pass-rushing outside linebackers. By 1993, Greene would sign with the Pittsburgh Steelers as a free agent. It was his time with the Steel Curtain which saw the linebacker appeared in his first and only Super Bowl. In the final stage of the Dallas Cowboys’ nineties dynasty, Pittsburgh lost 27-17. Kansas City took the linebacker with the fourth overall pick in 1989 and they never regretted it. The Alabama alum was a feared pass rusher who recorded 20 sacks in his sophomore season, and is currently tied for tenth on the all-time list. Over the course of Thomas’ career, the Chiefs made the playoffs seven times in eight seasons. However, they only advanced to the AFC Conference Game in 1994, losing to the Bills. 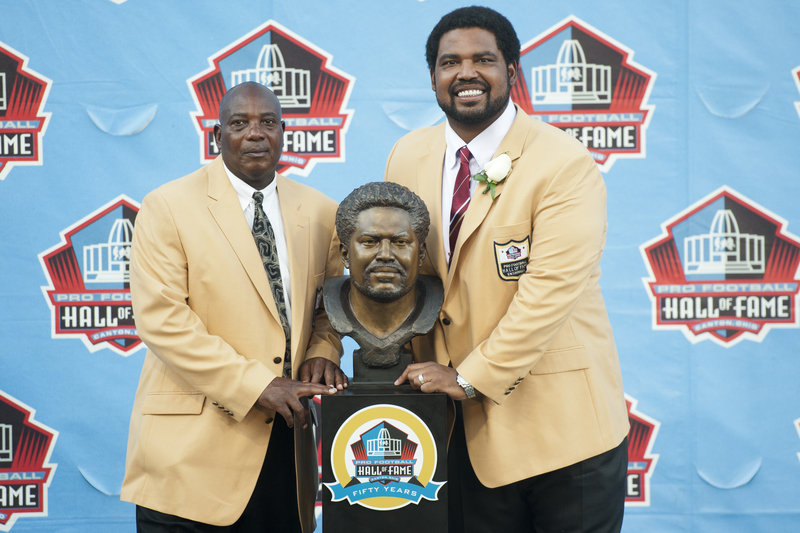 Thomas was inducted posthumously to both the College and Pro Football Hall of Fame. One of the most prolific defenders is up next. For a quarterback who was in four consecutive Super Bowls, Kelly could never walk away with the championship. 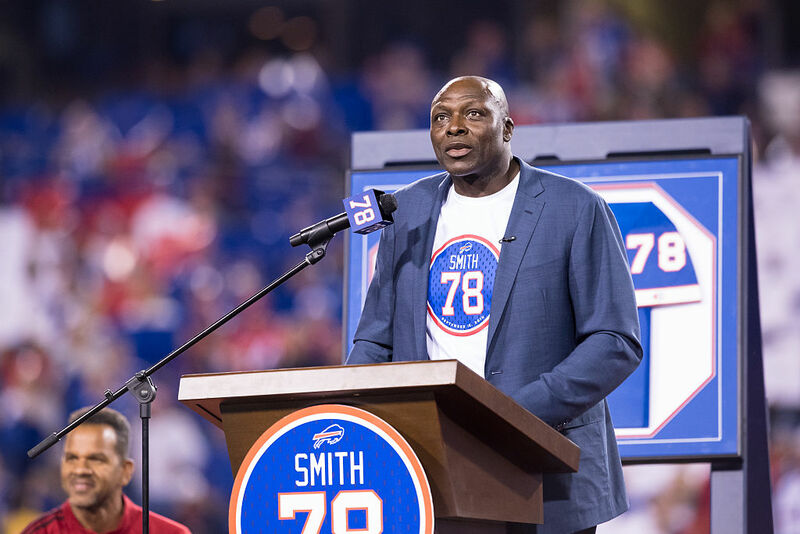 The Buffalo Bills legend is right up there with Fran Tarkenton and Dan Fouts. The Hall of Famers best chance at hoisting the Lombardi Trophy was in his first appearance . in Super Bowl XXV. 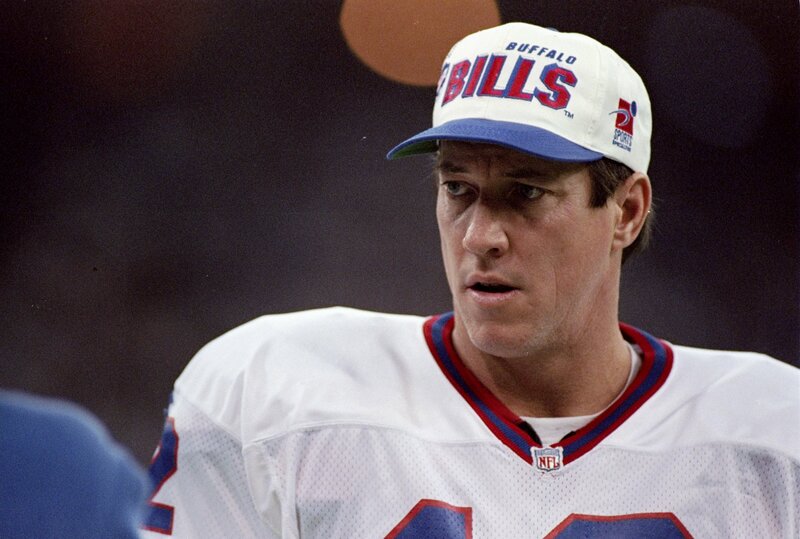 Down 20-19 to the Giants, Kelly drove the Bills down the field to set up a game-winning 47-yard field goal. Scott Norwood’s kick went wide to the right and the Bills never saw their chance at glory. 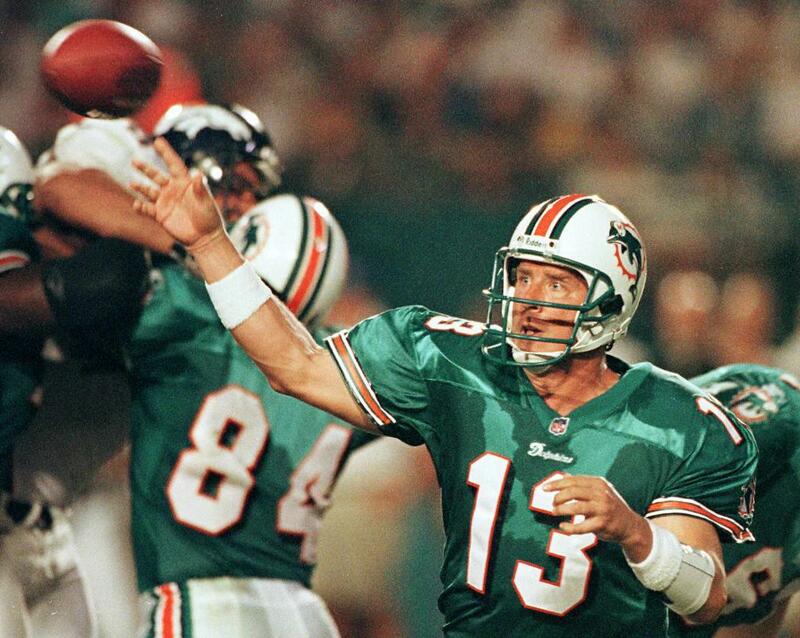 Marino became the first quarterback in NFL history to pass for over 5,000 yards in the regular season. In Super Bowl XIX, Marino and the Miami Dolphins were up against a 49ers squad that was on their way to becoming a dynasty. It turns out that losing the Super Bowl would be Marino’s only appearance on the big stage. 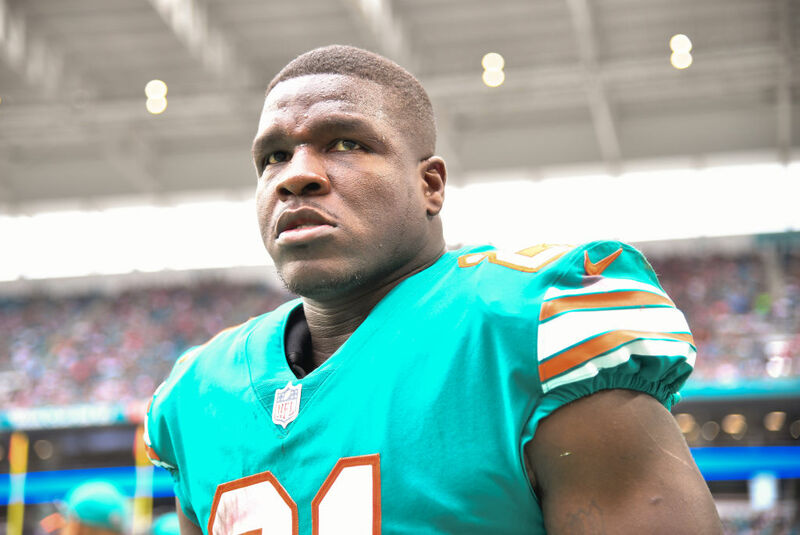 He continued to shred NFL passing records, but was only able to get the Dolphins to two more Conference Championship games. 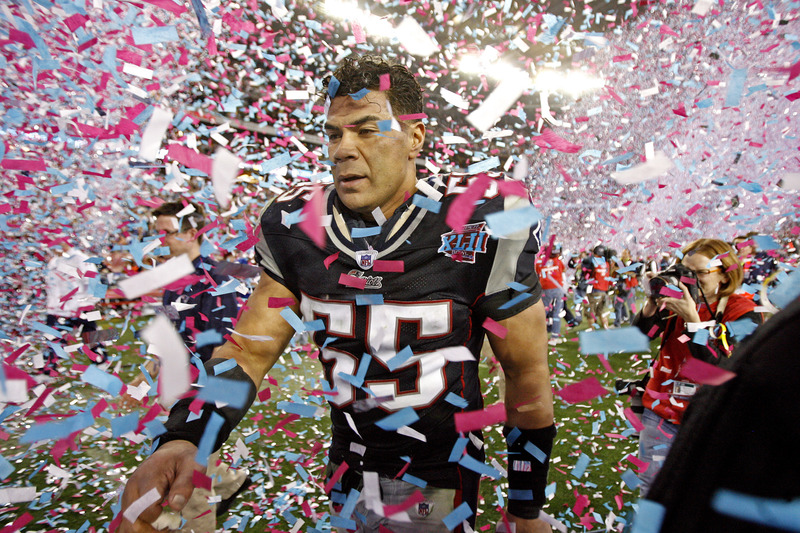 Seau was the fifth overall pick by the San Diego Chargers in 1990. He was the team’s second-leading tackler in his rookie season and led the team for six more seasons. The linebacker made two Super Bowl appearances during his Hall of Fame career. The first bout came in 1994, where the Chargers were trounced by the San Francisco 49ers 49-26. The second came in 2007 with the New England Patriots. His two tackles in the Patriots 17-14 loss to the New York Giants just wasn’t enough. The running back was there, and then he was gone. That’s how defensive players saw Sanders every time he ran down the field. 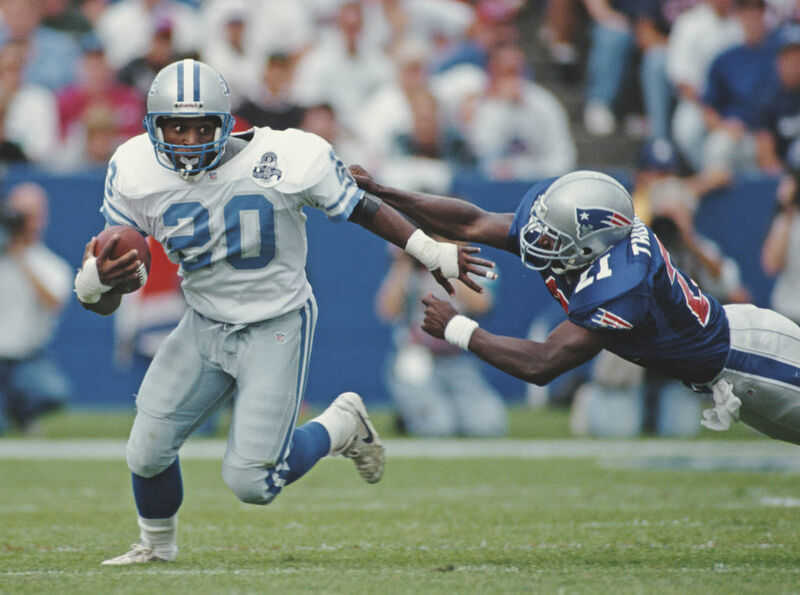 The Detroit Lions great rushed over 1,000 yards in each season of his career. 1998 was the year of the Vikings. In the NFC Championship Game, Moss caught six catches for 75 yards and a touchdown. 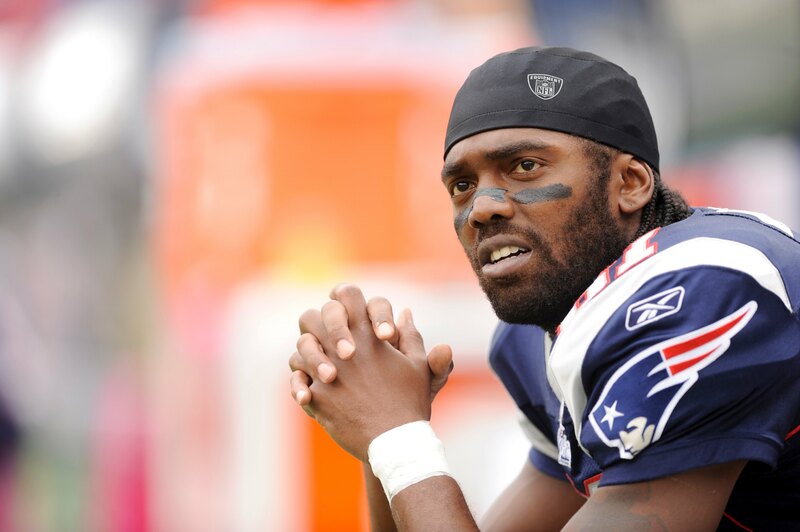 Moss would eventually find his way to Oakland in 2005, but after being traded to the New England Patriots, he became Tom Brady’s go-to target. In Super Bowl XLVII, Moss came through big for the undefeated Patriots when he pulled in a six-yard touchdown pass with just under three minutes left in the game. The Patriots defense couldn’t hold it and they ultimately lost.